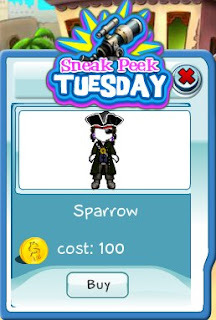 The Sparrow pirate outfit is today's Sneak Peek Tuesday item. It's comes with everything you need to become a virtual pirate, including eye patch, hat, boots and coat. This is one of the coolest items we've released recently!